DHL Global Forwarding, the air and ocean freight specialist within Deutsche Post DHL, assisted in the relocation of a giraffe from Liege, Belgium, to its new home at the Ramat Gan Safari in Tel Aviv, Israel. The male giraffe called Jengo was moved via DHL’s international cargo network and arrived safely and healthy in Tel Aviv on May 22nd. He will join his respective new herd at the Zoological Center Tel Aviv for a breeding program. “We are committed to supporting conservation and environmental causes around the world. Jengo’s journey is a further opportunity for this and we are glad to have helped Ramat Gan Safari in their mission. Having in mind the requirements for transporting the tallest terrestrial animal on earth, it also gives us the chance to show that we can handle even the most unusual cargo transport”, says Rafi Rozalis, CEO DHL Global Forwarding Israel. In cooperation with Ramat Gan Safari, DHL used a special crate for the transportation of Jengo. 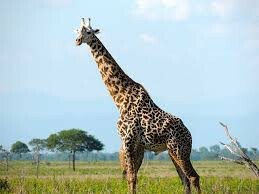 The giraffe was flown on a Boeing 747-400 cargo aircraft operated by the Israeli airline El Al and was accompanied by a team of animal keepers and veterinary physicians to secure health and safety at all times. Besides the “safety team”, the aircraft also took along a daily amount of food supply, weighing approximately 100 kilograms. Jengo will join a herd of seven giraffes for a breeding program at Ramat Gan Safari. Giraffes are classified as “Least Concern” by the International Union for Conservation of Nature, although some subspecies are classified as endangered. The Ramat Gan Safari takes care of the largest collection of wildlife in the Middle East. Besides the Safari area, visitors have also access to a modern outdoor zoo.